Maths has its own language, and this can be the root of many problems. 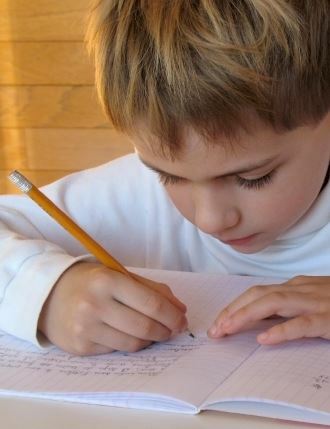 Whilst some dyslexic students are good at maths, it has been estimated that around 90% of dyslexic children have problems in at least some areas of maths. General mathematical terminology words need to be clearly understood before they can be used in calculations, e.g. add, plus, sum of, increase and total, all describe a single mathematical process. Other related difficulties could be with visual/perceptual skills, directional confusion, sequencing, word skills and memory. Dyslexic students may have special difficulties with aspects of maths that require many steps or place a heavy load on the short-term memory, e.g. long division or algebra. Put key words on a card index system or on the inside cover of the pupils maths book so it can be used for reference and revision. This is a very useful article with excellent advice. I would appreciate if we are all more careful with the language we use. We need to present the child first and then the disability by always saying a child with dyslexia rather than a dyslexic child. They are our children first with many characteristics, talents and abilities and dyslexia is just a condition that needs to be addressed to make it possible for them to read and learn. Nadera, thank you for your comment –but I don’t agree with your viewpoint. I think that “child with _____” language has exactly the opposite effect of what you intend. It conveys a subtle and insidious message that the child has some sort of undesirable and unfortunate disease. Even neutral adjectives like “tall” or “brown-eyed” are used without hesitation. It is only when the adults have a negative view of the trait that the message is conveyed that the so-called “disability” must somehow be separated. Dyslexia is only a “disability” because of educational methods and practice that fail to recognize and support the child’s differences. We view dyslexia as a gift in part because we are able to provide children and adults with the tools they need to use their strengths to succeed. And so we say “dyslexic” — a dyslexic child; the child [b]is[/b] dyslexic. And we say “difference” and not “disability” — because like all differences, the neurodiversity that dyslexia represent is something to be respected and learned from. (I don’t hear adults using “with” language to describe cultural, ethnic, or racial differences). So that is why I will say dyslexic person or autistic person, and am very proud to call my high achieving son dyslexic. And why I personally avoid prefacing dyslexia with “with” or “has” — because again, it is not a disease but something that we are happy to embrace. We do think that it is counter-productive to be overly critical or to castigate word choice. I don’t expect to change your mind. I just hope that you can understand that those of us who deliberately use the language you disapprove of have valid reasons for our choices — and part of that is because we have a much broader view of dyslexia and want to recognize, nourish and cultivate the inherent gifts and talents that go along with the differing academic needs.